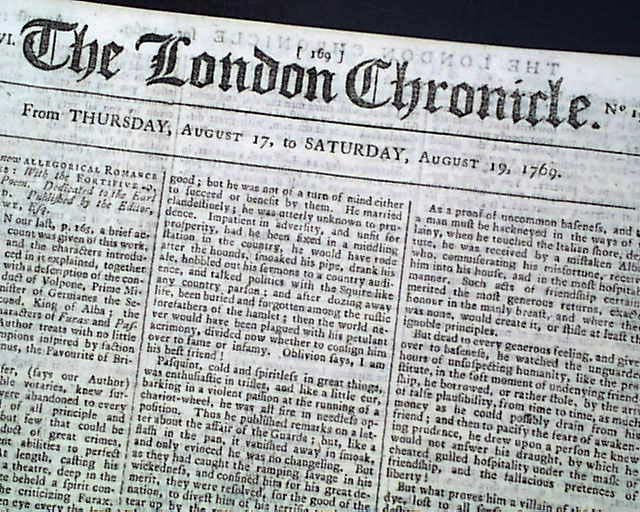 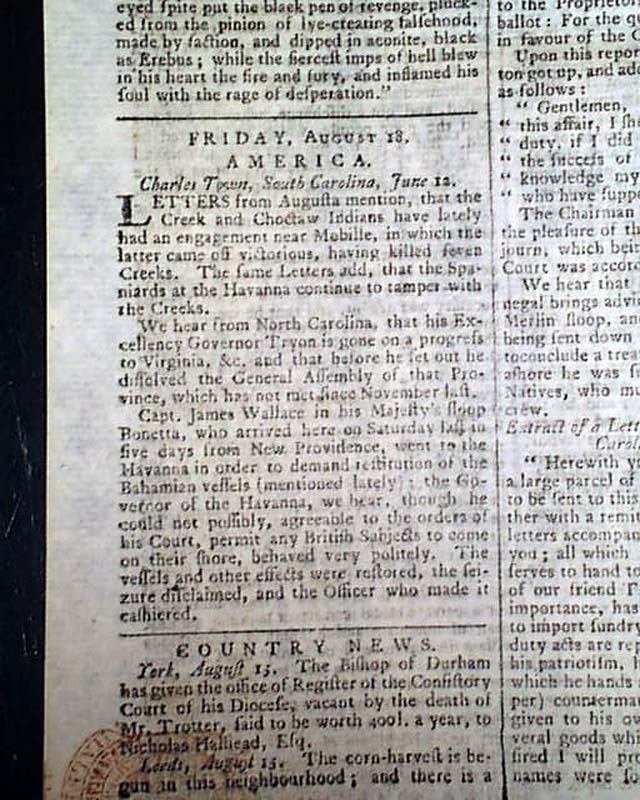 THE LONDON CHRONICLE, England, Aug. 19, 1769 Page 2 has a report from Charleston concerning: "...the Creek and Choctaw Indians have lately had an engagement near Mobile in which the latter came off victorious..." with more (see). 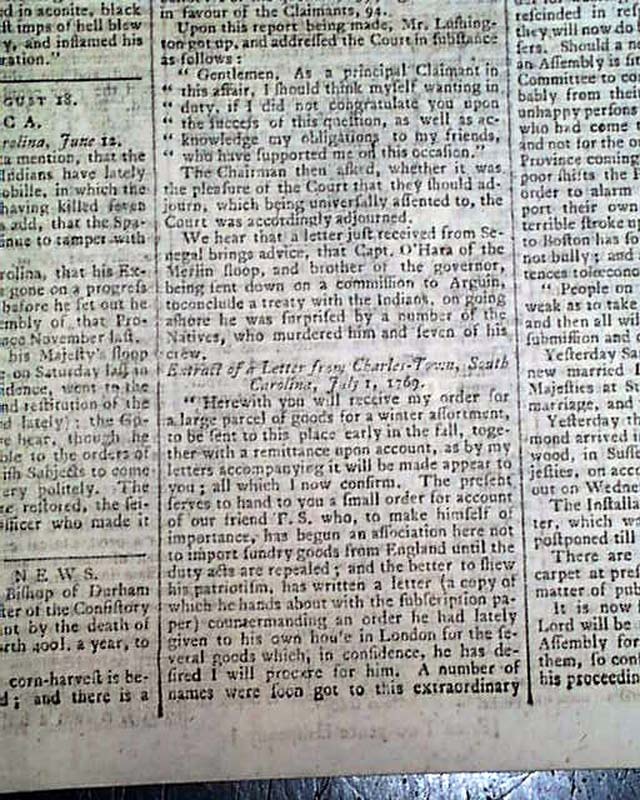 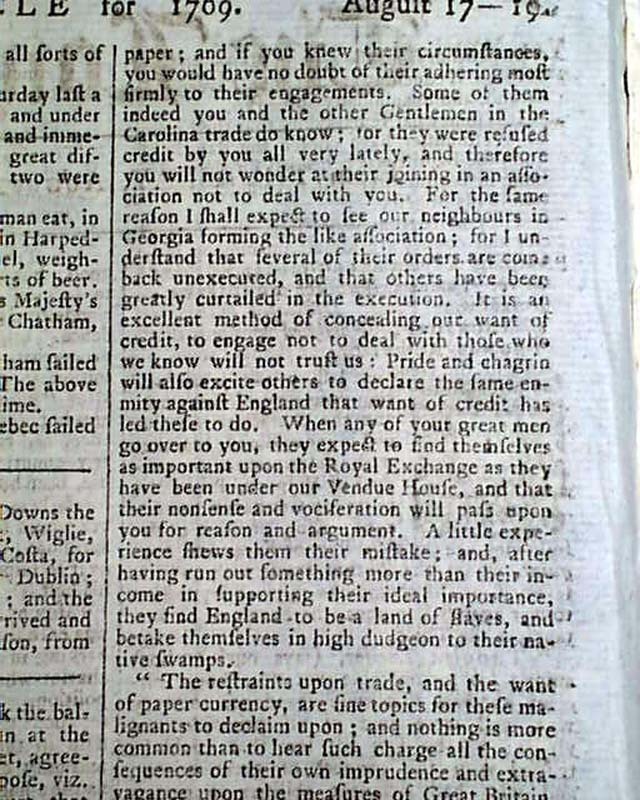 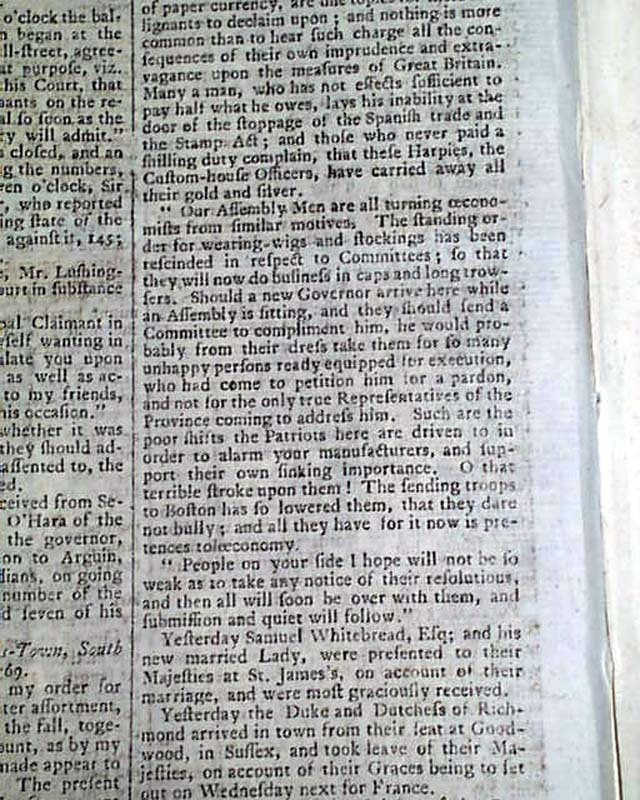 Also a letter from Charleston which mentions in part: "...has begun an association here not to import sundry goods from England until the duty acts are repealed..." with more (see). 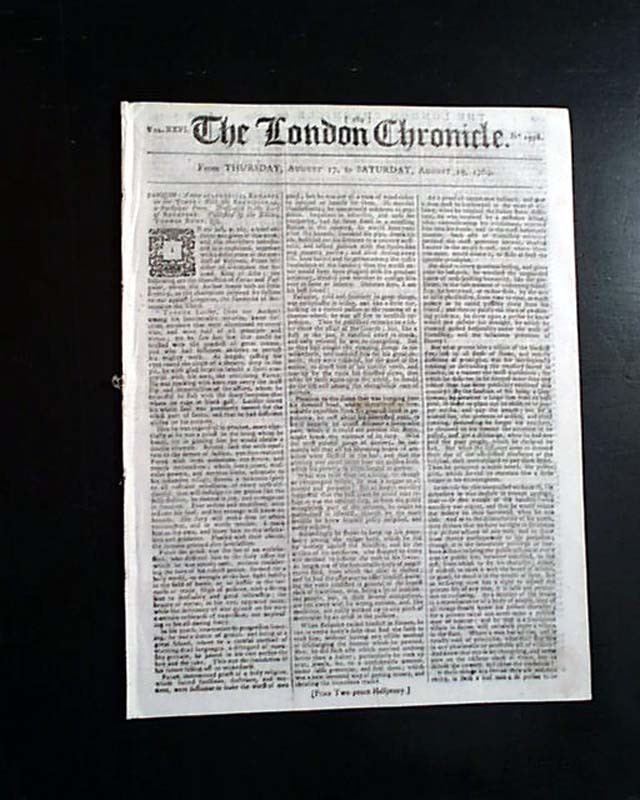 Eight pages, 8 1/4 by 11 1/4 inches, very nice condition.